Our staff are all really greaty and will make sure you are always happy! 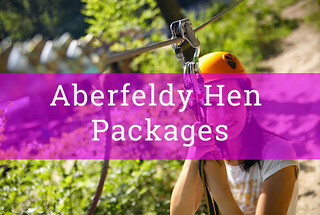 With a highland place like Aberfeldy, you ladies know that you are in store for a wild and crazy hen weekend filled with some amazing outdoor activities. This is one of the most picturesque parts of Scotland and you will really be making memories that will last a life time. While the day time fun here is off the charts. For a hen night its worth pointing out you will have to take a short drive to places like Perth or Dundee for a wild hen night. As an outdoors type place the touristy aspect of Aberfeldy is mainly all about going for nice walks and really experiencing the best of the Scottish country side. If this is your idea of a good time then I highly recommend a pleasant walk around Cluny House Gardens.